All of a sudden, there are exciting new film festivals springing up all over the place. Just two days ago A Piece of Monologue reported the upcoming David Lynch conference to be held at Tate Modern and Birbeck Cinema: a perfect opportunity to see examples of his work while engaging in contemporary debate. Now, a season of Werner Herzog films has also been announced to take place in the London area. The V22 Collection is offering audiences the chance to see twenty-one of Werner Herzog's films to coincide with his forthcoming visit to London. Titles include Little Dieter Needs to Fly (Sept. 26), Grizzly Man (Sept. 27), Stroszek (Oct. 18), and Fitzcarraldo (Sept. 13), which will be screened 'at a variety of venues including a disused warehouse, the attic of a cinema museum, several of London’s famous Art Deco cinemas, and a glass conservatory in a museum.' 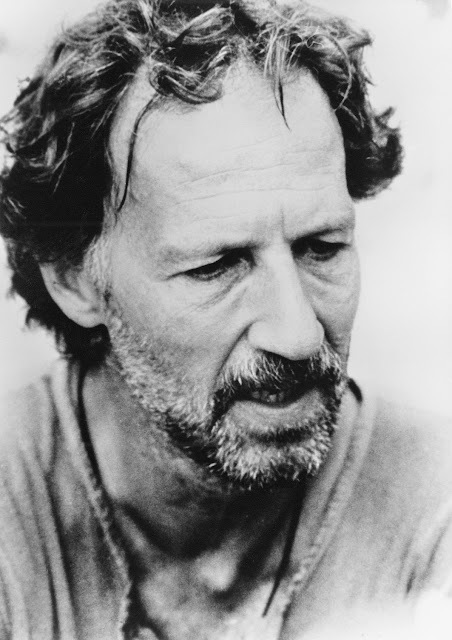 As though that wasn't enough, Herzog's arrival in London will be celebrated by a live discussion at Royal Festival Hall with the director himself. I've been a fan of Herzog's for a few years now, but am still unfamiliar with much of his work. The upcoming festival aims to exhibit a broad range of films spanning his entire career, from the darkly surreal Even Dwarfs Started Small, to his signature work with Klaus Kinski and remarkable documentary projects. I can't imagine too many people would be able to meet every date and attend every screening, but the sheer number of films being shown promises something for everyone. The Werner Herzog festival, which opened on September 11th, runs until October 31st. You can find more information about the films, venues, and ticket availability below.